We’re less than a year away until Captain America: Civil War hits theaters, but there’s still plenty of enjoyment to be had from repeat viewings of Steve Rogers’ last solo outing, Captain America: The Winter Soldier. Now you can re-experience the film’s awesomeness in a brand new way thanks to this 8-bit remake. Check it out! The 2014 superhero, espionage thriller meets ‘80s video game technology, and it’s a wonderful combination put together by the folks at CineFix. After tackling other Marvel fare like The Avengers and Guardians of the Galaxy, they’ve now turned their attention to the film that saw Captain America and his allies facing off against the Winter Soldier and the forces of HYDRA. Let’s take a look at how the individual characters look in their simplified forms, shall we? Like in the original movie, there are some points during the side-scroller where Steve is wearing civilian clothes, but in terms of his Cap costume, they nailed the color scheme perfectly. 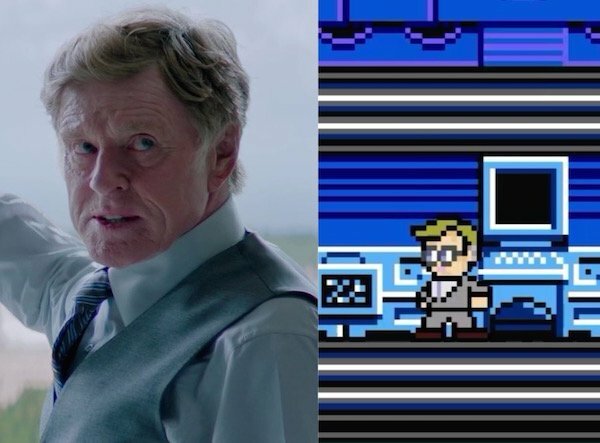 Being the film’s star in the 8-bit adventure, he of course gets many opportunities to shine, like on the S.H.I.E.L.D. boat in the beginning or taking down that S.H.I.E.L.D. aircraft on his motorcycle. 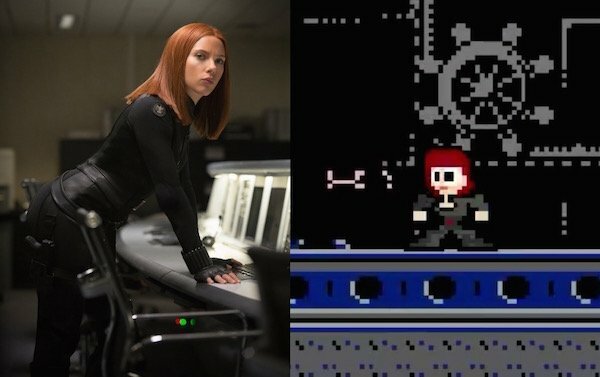 Black Widow has extra red hair in this interpretation, and while it was great to see her take out Batroc the Leaper’s men early on, the scene where she and Steve smooch to hide from the S.T.R.I.K.E. team was especially amusing. 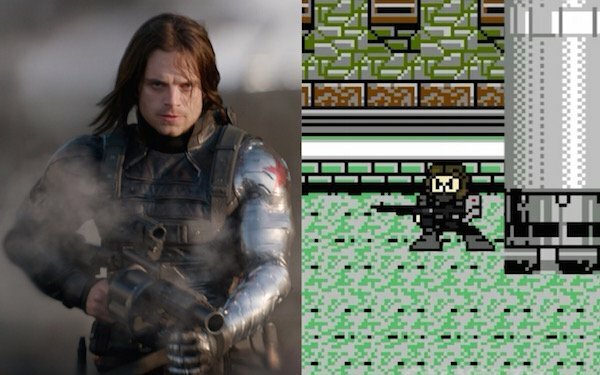 Then there’s Winter Soldier, who looks somewhat more intimidating in 8-bit form. Maybe it’s the slanted eyes or the massive size of his gun, but you can tell the miniature brainwashed Bucky means business. 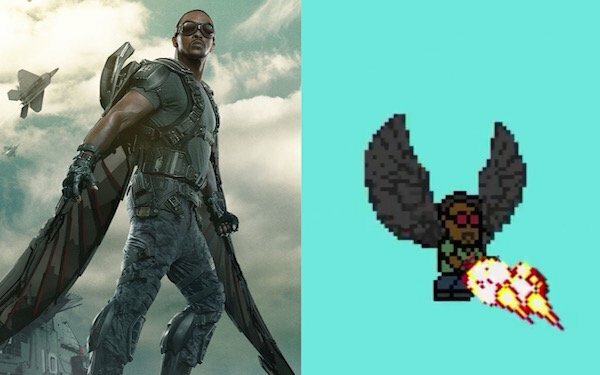 Next we have Falcon, who flies at the S.H.I.E.L.D. Helicarrier guns blazing. The way they have him here makes it look like he actually has wings growing out of his back, but it’s nothing to complain about since every other aspect is spot-on. 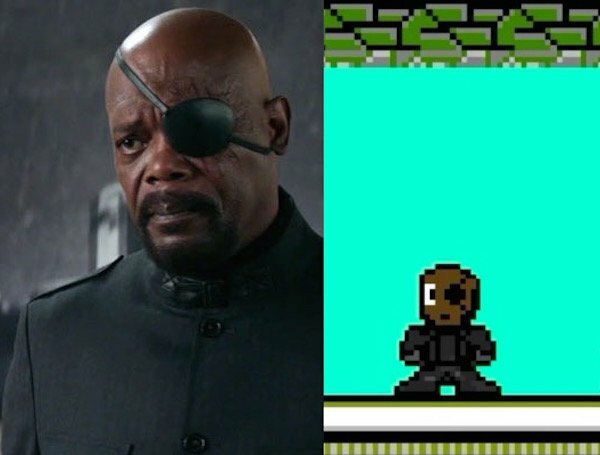 Okay, this may sound weird, but that wide eye makes this the most adorable Nick Fury I’ve ever seen - though I have no doubt that 8-bit Nick Fury is just as much as badass as the real, Samuel L. Jackson one. Too bad he gets shot shortly after being introduced in this video. Finally, the video caps off with a tiny Alexander Pierce saying "Hail HYDRA!" to the viewers before the Helicarrier crashes on him, because there’s really no better ending for something like this. Now I can’t wait for them to get to Avengers: Age of Ultron. Heck, they could even go back and adapt movies they missed the first time around. 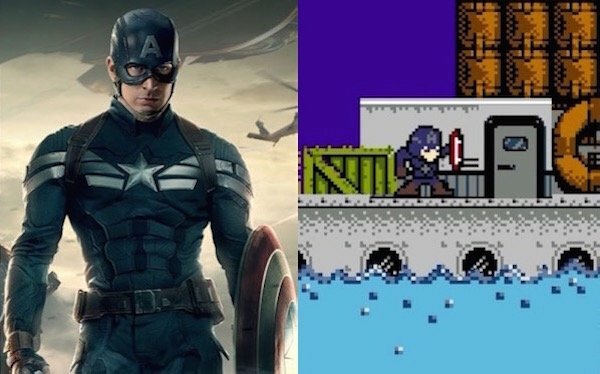 It would be great to see how Captain America: The First Avenger looks in primitive video game form.